Kitchen cabinets Brooklyn NY that will be the best fit for your kitchen remodel and will satisfy your style, your needs for kitchen storage and functionality and your budget can be found close to your home, at Home Art Tile Kitchen & Bath Showroom in Queens, NY. Browse through our kitchen cabinets selection, find your favorites, and then stop by to inspect and examine the quality of the materials. We have a wide selection of various colors and finishes, and we are certain that you’ll find the right fit for your Brooklyn home. Kitchen cabinets Brooklyn NY renovation projects demand the best performing kitchen cabinet materials and sturdy construction. We have everything that you need for your dream kitchen in Brooklyn. Home Art Tile Kitchen & Bath team believes that only the best kitchen cabinets are good enough. 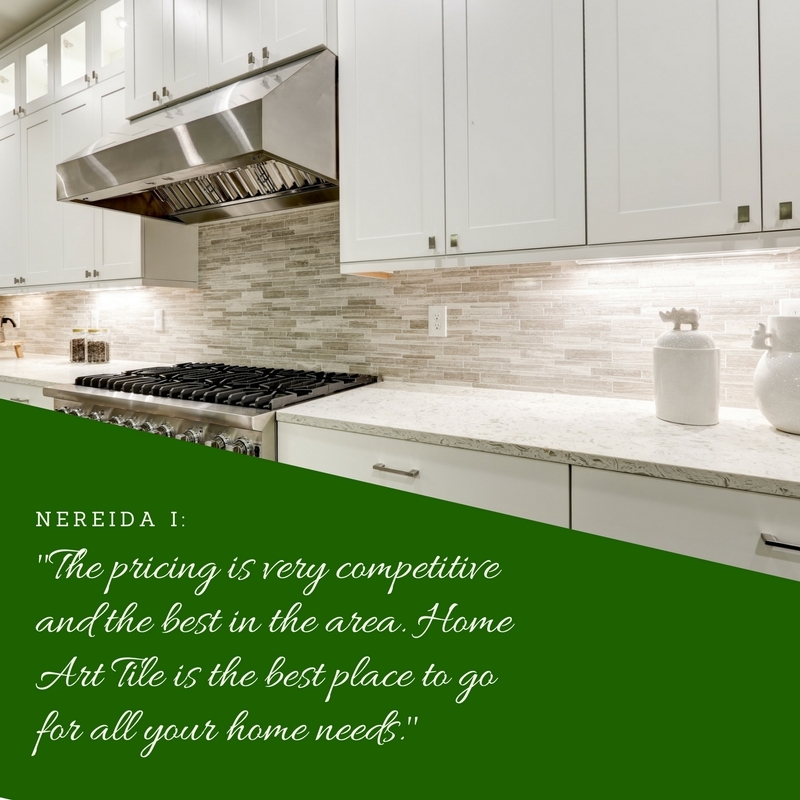 This is why we selected only top-notch kitchen cabinets for you to choose from. If you are a first-time buyer, you will want to know what to look for in kitchen cabinets. Our designers will be happy to assist you all the way and help you choose the kitchen cabinets for your Brooklyn kitchen. If you have previously bought kitchen cabinets and renovated a kitchen, you know that kitchen cabinet manufacturers and brands like Forevermark Cabinets, Fabuwood, Cubitac, and MK Wood produce only top-rated designs. We are proud to show them in our kitchen cabinet store. Our Queens NY based showroom is the best option for your kitchen remodeling Brooklyn NY projects. Our designers at the kitchen cabinets Brooklyn store will be happy to answer all your questions and point out all the advantages of adjustable or pullout shelving, of self-closing cabinets and drawer sides. The wide variety of kitchen cabinets available in our kitchen cabinets Brooklyn NY showroom makes your selection easy and enjoyable. Home Art Tile Kitchen & Bath is the best kitchen cabinets showroom close to Brooklyn. We welcome you 6 days a week to meet you, to realize your needs, and pick best kitchen cabinet selections. Our designers will help you make well-informed decisions. Kitchen cabinets Brooklyn remodel project can be a true enjoyment with our services. As a start, take a look at different trendy kitchen cabinet selections. White shaker cabinets are a favorite for many homeowners and designers. Easy to combine and enjoy, these cabinets will give you a modern kitchen with a nod to a classic, traditional style. If you choose striking white options with a high sheen, you will get an uncompromising contemporary kitchen design. We recommend Gray Kitchen Cabinets to everyone who loves neutrals. All options, from dark gray to light gray kitchen cabinets are waiting for you at out kitchen cabinets store near Brooklyn. With the cabinet selection we have, your kitchen remodeling project in Brooklyn NY will be a happy, enjoyable adventure. For all Brooklyn NY kitchen remodelers, we provide Free 3D design service. This service will enable you to see how kitchen cabinets you select will actually look like in your home. 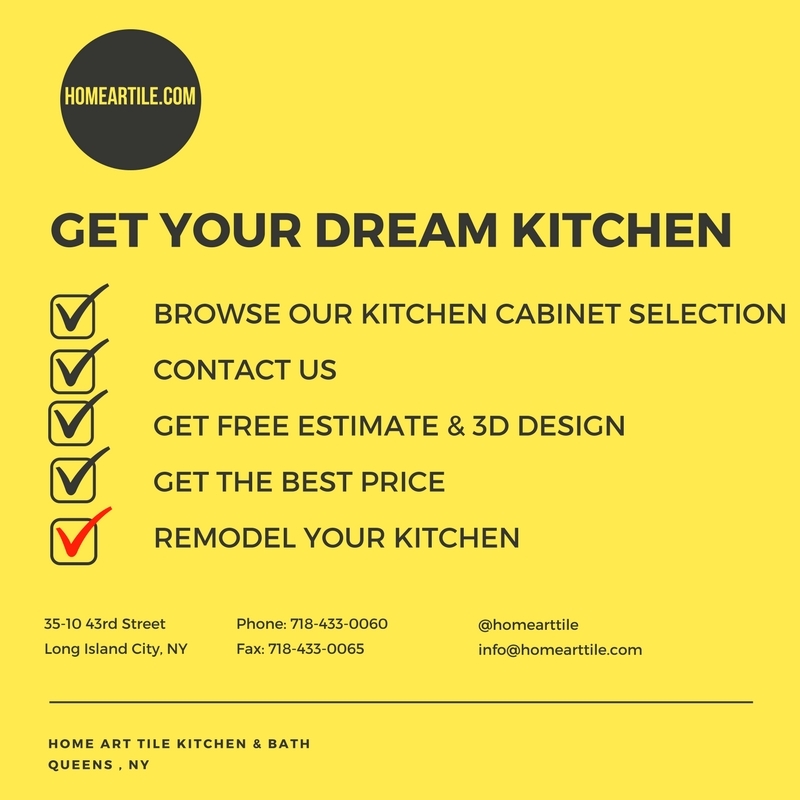 With free estimate, make sure you get accurate information about the kitchen cabinets you like for your Brooklyn kitchen remodel and get a proposal quickly, within 1 business day. We compromise on kitchen cabinets price, not on quality. We know what a giant undertaking any kitchen remodeling project can be and what an impact it can have on your budget. However, our kitchen cabinet specialists will never recommend cheap material cabinets that won’t last. Getting your Brooklyn kitchen right takes planning, superior materials, modern colors, and finishes. To make sure your kitchen remodeling in Brooklyn goes smoothly, we discounted kitchen cabinet prices. 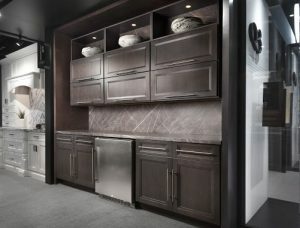 Our kitchen cabinet showroom located in Queens NY welcomes homeowners, designers, and contractors from Brooklyn daily. Conveniently located close to Brooklyn, Home Art Tile Kitchen & Bath offers only unmatched quality, solid wood kitchen cabinets that feature the most wanted colors and natural finishes. 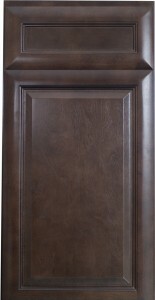 To make sure you enjoy our products and service 100 percent, we discounted our kitchen cabinets prices. Finally, buying the best kitchen cabinets at the best kitchen cabinets price that will fit your budget is possible! 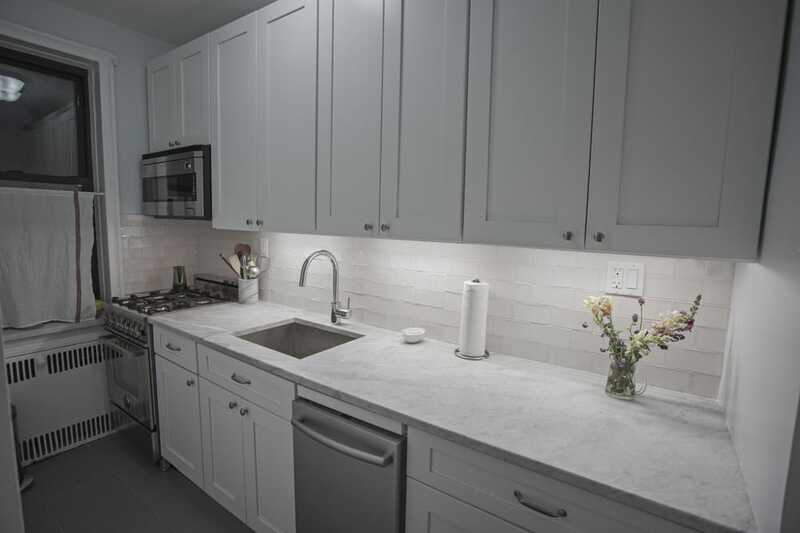 Home Art Tile Kitchen & Bath team of designers knows Brooklyn homes and Brooklyn residents, as well as what they look for when they need to renovate their kitchens. It’s no wonder our wood kitchen cabinets are such fast sellers! Versatile in sizes, finishes, colors, and styles, our kitchen cabinets are perfect for Brooklyn homes because they fit perfectly. Regardless of the size of your Brooklyn house or apartment, you will be able to create unique kitchen arrangements and setups with our kitchen cabinets. Personalization and your style have never been more important for the quality of living. Are you looking for the best kitchen cabinets in Brooklyn NY? Do you need advice when deciding what kitchen cabinet style will be the right fit for your Brooklyn home? Have you been wondering what kitchen cabinet material, color, and finish will perform best? Our kitchen design specialists will assist you when deciding what kitchen cabinet design, material, finish, and construction will best fit and compliment your Brooklyn kitchen. When you choose the best kitchen cabinets for your remodel, don’t forget to choose one of our Caesarstone Countertops. Come to take a look at all the Caesarstone samples and see which color and which pattern goes best with the kitchen cabinets you chose. 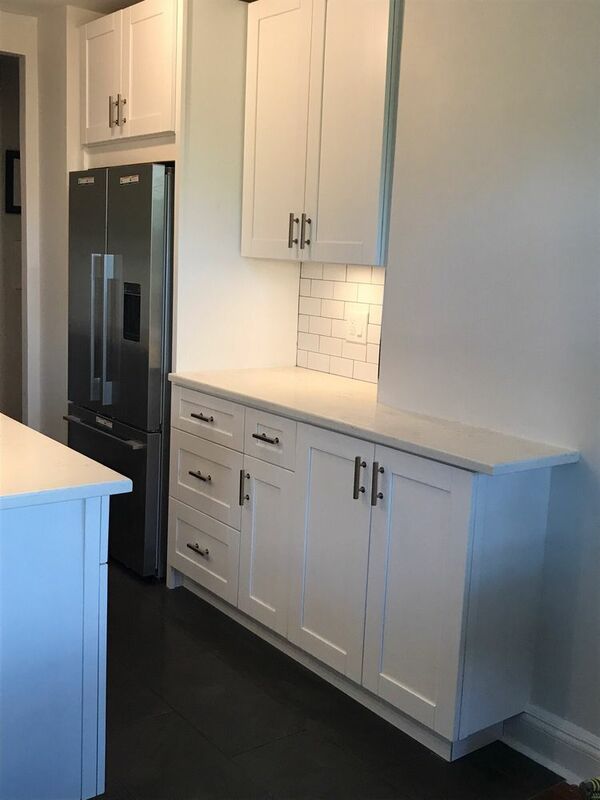 Contact us today and find out why homeowners, builders, contractors, and designers from Brooklyn NY love our service and the kitchen cabinet styles, colors, and brands we carry. You can call us right away at 718-433-0060, visit us when it’s convenient, or simply fill out the contact form. We know how important kitchen cabinets are for planning, designing, and building your dream kitchen in Brooklyn, NY. Visit us today and we will make kitchen cabinets choosing and shopping easy and enjoyable. If you want to build a beautiful family kitchen in Brooklyn NY, we are the right address to start with. You cannot build a kitchen of your dreams without the best possible products. The most important elements of any kitchen space are kitchen cabinets. These will determine the overall style of your kitchen, the amount of storage, and the functionality. When planning a kitchen remodel, think about how will you use the kitchen space. Do you cook every day or eat out often? Are you going to use your kitchen for entertaining, family and friends gatherings? Think also about the style of your kitchen. Do you prefer traditional, contemporary, or transitional decor? Also, make sure you know what colors you would like to go with. Once you get an idea of what would you like your kitchen to look like, stop by our kitchen cabinets Brooklyn NY showroom or contact us to get a free estimate. We will start by deciding on a kitchen layout. Make sure to take measurements so we can do a detailed 3D design. This is our design service that you will get free of charge. In order to provide you with nothing less than a world class kitchen, our expert designers will help you select the best kitchen cabinets and provide you with low prices. Our experienced and highly trained kitchen design experts have years of experience helping homeowners in Queens, Brooklyn, and Manhattan. They will assist you in matching your personal style with kitchen cabinets for the best results and the completion of your dream kitchen. From inception to completion, we will be there for any advice you may need. We can even connect you with some of the most reputable local contractors in the area. Ensuring the final result of your kitchen remodel project to be your masterpiece, we will be with you from the beginning until the end, all the while providing you with the best products and designer advice. Don’t settle for less. Get the best quality kitchen cabinets at low prices and free design service for your kitchen remodel in Brooklyn NY. Contact us today. 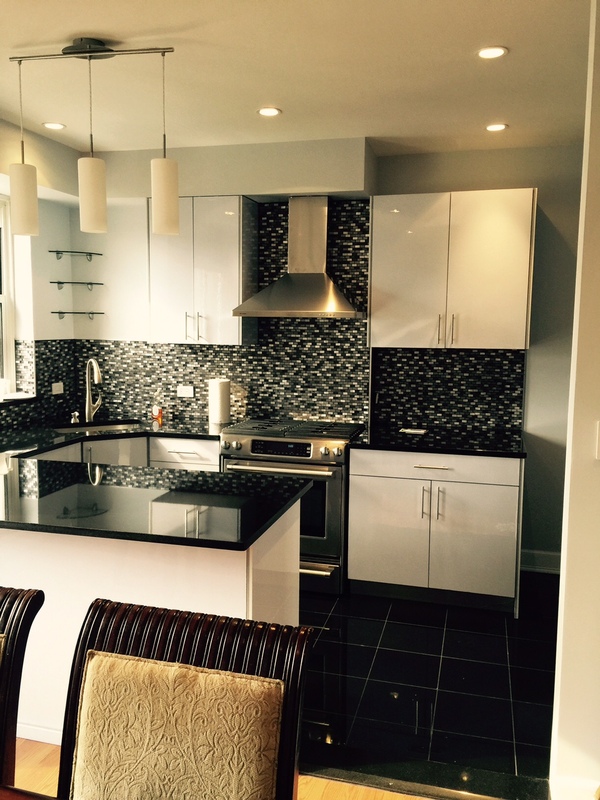 Do you want a high-end, fully customized kitchen for your Brooklyn home? Would you prefer a practical, functional kitchen with as much storage space as possible? Maybe a bright and airy kitchen with open shelving and white shaker cabinets is your goal? Do you want to splurge or you need to hold tight because of your limited budget? Home Art Tile Kitchen & Bath has all options so you can combine and create solutions that will ideally suit your needs and wishes. Our expert kitchen designers stay on top of the popular trends in Brooklyn, all the while being knowledgeable about the material quality, care, and maintenance, as well as of the most functional layouts for any kitchen space. Browse our kitchen cabinets deals, get inspired by the gorgeous gray kitchen cabinets and white shaker cabinets, and imagine your kitchen with superior Caesarstone countertops. Kitchen cabinets like Cubitac cabinets and Forevermark cabinets will surely inspire your kitchen remodel in Brooklyn NY. 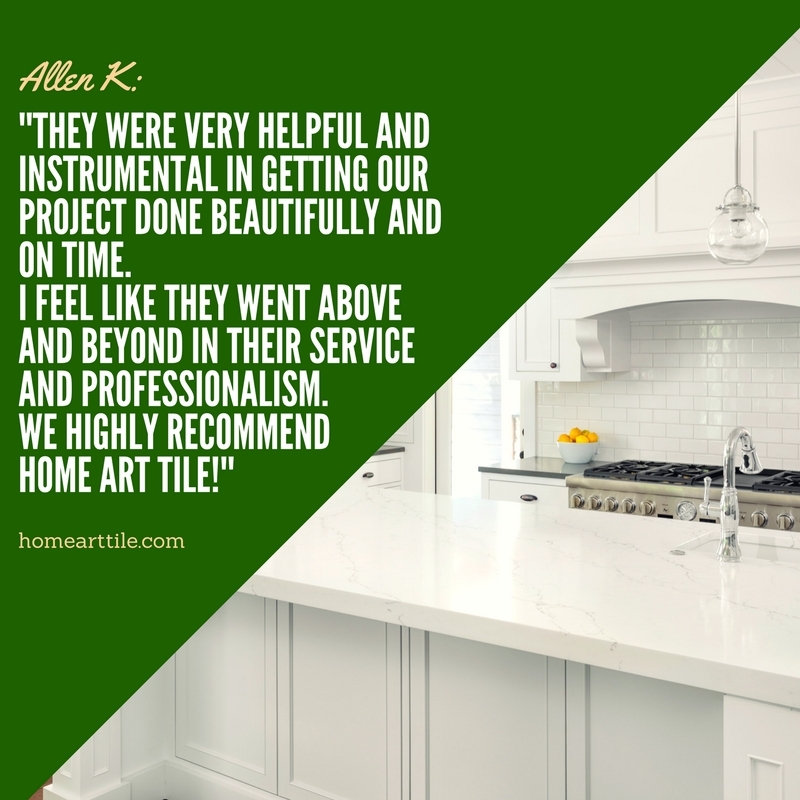 Visit our Houzz profile to see more of the projects completed with products purchased at Home Art Tile Kitchen & Bath kitchen cabinet showroom. Contact us today to start building your dream kitchen. Home Art Tile Kitchen & Bath serves Queens, Manhattan, and Brooklyn homeowners, designers, contractors, and builders for more than a decade. We accommodate our selection and business hours to your needs, we stay on top of all kitchen cabinet, tile, and countertop trends, and we offer our designer services for free. Low prices and superior product quality, as well as state-of-the-art customer service resulted with excellent reviews from our valued customers. Turn right onto 43rd St. Home Art Tile Kitchen & Bath will be on the left. Travertine Tile Buyer's Guide by HAT on Biteable. Kitchen Cabinets Brooklyn Specials Coming Soon! If you live in Brooklyn, you know that your neighborhood is one of the most cutting-edge areas in the New York City. This borough is booming in various ways and continues to be one of the most popular areas in NY. Whether you are an entrepreneur, an artist, a writer, or any other kind of creative talent, it’s most likely that you’ve settled in Brooklyn. This area is as hip as Manhattan, but it’s still much more affordable. This opens an opportunity for you to show your creativity in interior and kitchen design. Visit Home Art Tile Kitchen & Bath located in Long Island City. 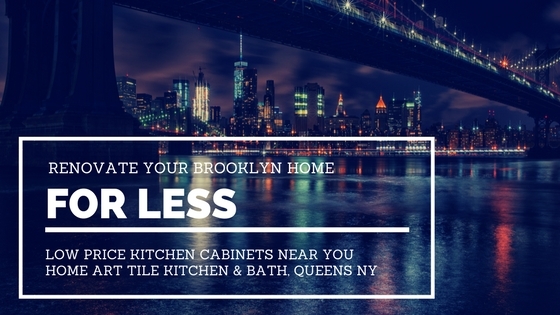 We are so close to Brooklyn and you’ll find our kitchen cabinet prices very affordable. If you’re visiting, don’t miss the opportunity to see Brooklyn NY. 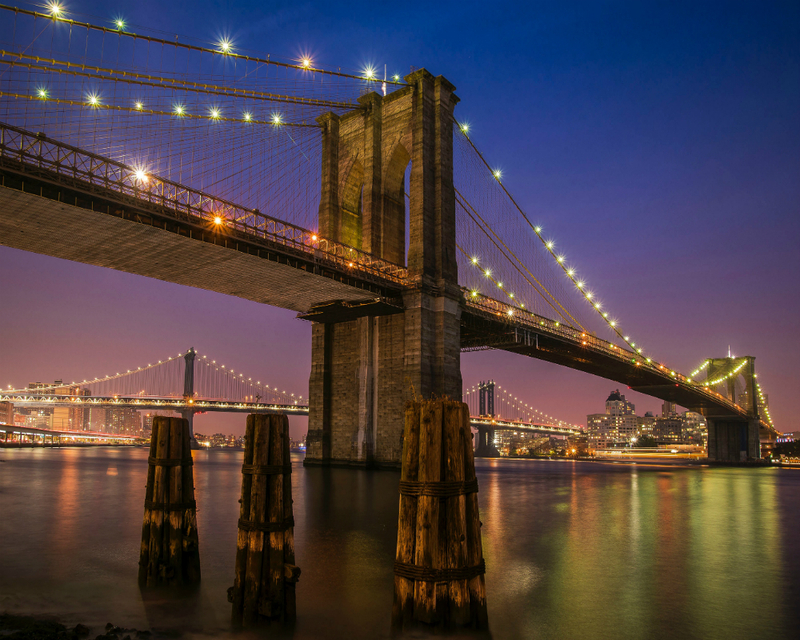 Walk or ride a bike over Brooklyn Bridge and enjoy an incredible view. If you love music, go to Williamsburg and listen to the live music and visit world-famous Brooklyn Academy of Music. All sporty types should visit Barclays Center in Downtown Brooklyn. Are your kids with you? Take them to Prospect Park and Park Slope neighborhood, one of the New York City’s most desirable neighborhoods. Most important of all, don’t miss the scenic Brooklyn Heights promenade. Brooklyn Botanic Garden will enliven your love for the nature in the urban wilds. Make sure not to miss Italian restaurants, Irish bars, as well as roller coasters and hotdogs on Coney Island. Dive into this dynamic community and learn why Brooklyn is not only a neighborhood but a state of mind. Visit Wikipedia to learn more about Brooklyn Neighborhoods, Economy, Culture, Parks and other attractions.